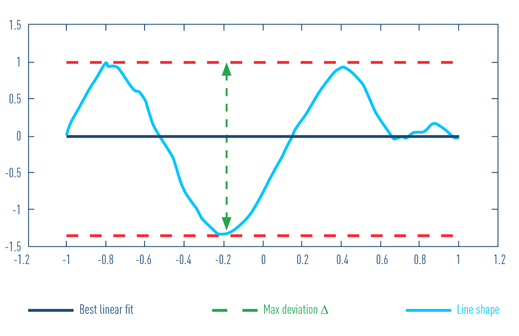 At Osela we provide many different focusing options giving you the flexibility to choose the one that best suits your application. The Fireline laser is free focusable externally without removing any optics. 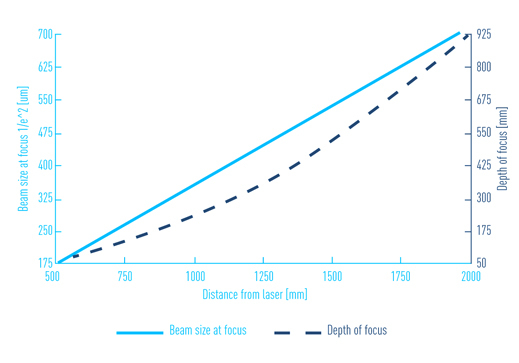 From the graphs below, note the beam size and Depth of Focus (DOF) values and then multiply by the K constants for the laser diode model and focus option of choice (A, C, or D). 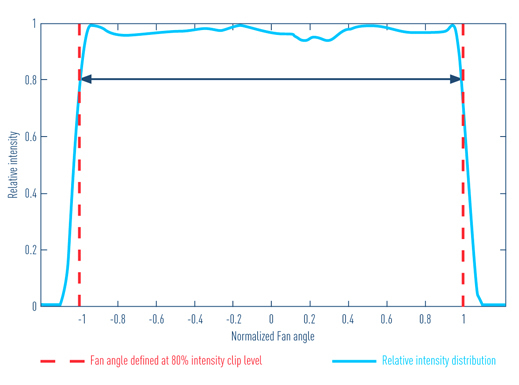 Example: From the graphs at 400 mm working distance, Focus = 140μm, DOF = 36 mm. 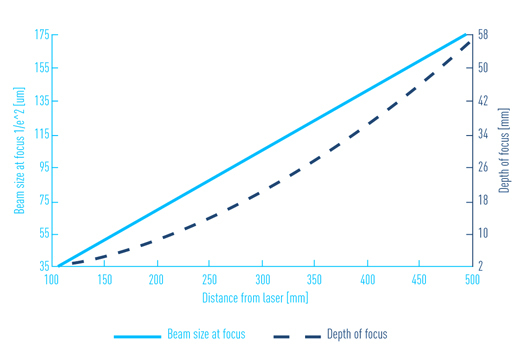 Then for Laser Model 808nm 10W the line thickness at focus for OPTION A will be 124.6um (i.e. 140 um x 0.89). Its depth of focus will be 21.24mm (i.e. 36mm x 0.59). The Fireline can be modulated by an external 0 to 5V signal on PIN#2 of DB15 Connector. The S type modulation comes by default. 2 Available Fan Angle (°) 10, 15, 20, 30, 38, 45, 60, 75, custom upon demand.